Consult our comic books key issue price guide to find out the value of the world's most important comic books. Here we focus on first appearance, origin issues, and other books of vital importance to the Marvel and DC Universes. First appearance of Wonder Woman, and a huge key issue! Spidey's first stand-alone book is a Silver Age must-own. Find out values of the very first appearance of the super-team. The first appearance of Poison Ivy guarantees that this is a hot hot book! Featuring the first Ra's al Ghul and Neal Adams cover, this is a classic. The first appearance of the Suicide Squad is a Silver Age key! 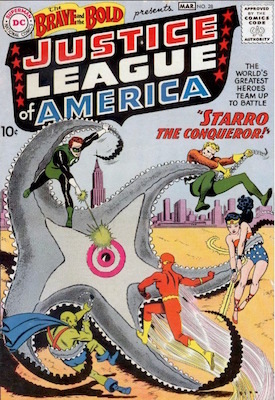 The first appearance of the Justice League of America. Need we say more? The first appearance of Barbara Gordon as Batgirl is a huge 1960s key! Find out the value of the first appearance of Man-Bat, another Neal Adams cover! 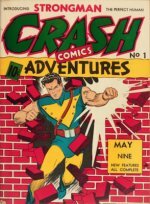 Find out why this book started the Marvel Age of Comics, and what it's worth now! The first appearance of Doctor Doom! 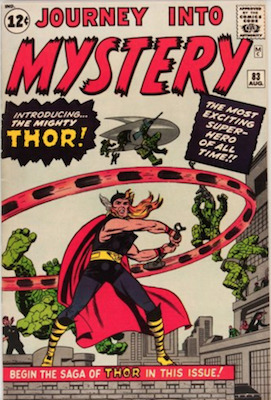 A truly landmark Silver Age key issue. Find out the value of the first appearance of the Inhumans. The first solo appearance of Barry Allen as Flash is a valuable issue. 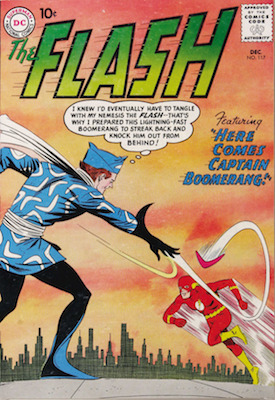 The first appearance of Captain Boomerang has become a key issue comic book. A huge key issue, the return of the Golden Age Flash and origin stories of both Flashes make this valuable. Work out what your copy of the first appearance of Reverse Flash is worth here. The landmark Neal Adams issue is a major Bronze Age key. Find out the value here! Find out why Hulk 1 comic is the hottest key issue on the planet! Read this article to see what you can expect a copy of Hulk #2 to sell for! If you have a Hulk 3 from the first series, find out its value here. What's Hulk #4 worth today? Find out here, and have your copy appraised free. One of the first six Hulk comic books, and well worth a mention in this guide! The final book in the original Hulk series is worth good money. How much? The first appearance of Wolverine! Need we say more about this 1970s classic? Learn the values of this comic books key issue, featuring the first appearance of Thanos! The first appearance of Thor! One of the Silver Age key issues everybody wants. 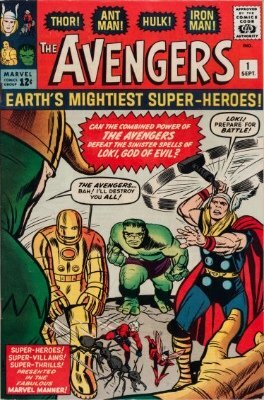 The first appearance of Loki, Thor's brother and most famous villain! 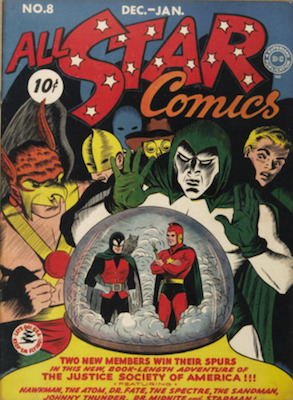 The first solo comic book featuring the JLA is a comic books key issue. First appearance of Guardians of the Galaxy, and now a Silver Age key issue! Learn the value of this critical key issue in the development of Silver Age comics! Iron Man, aka Tony Stark, first appears in this classic Silver Age key issue. Second Iron Man, First Gold Armor! Find out what it's worth. 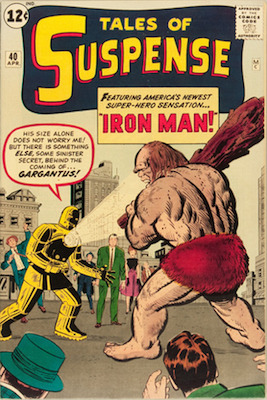 The 1st appearance of the Mandarin, Iron Man's enemy, is a key issue comic. 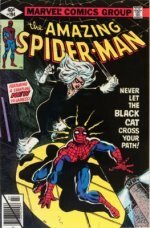 The 1st appearance of Black Widow Marvel comics. Find out values here. The first Hawkeye appearance has become hot, thanks to his role in Marvel movies! 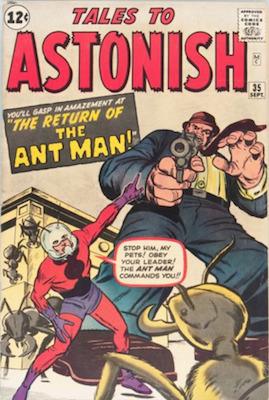 The first appearance of Ant-Man in pre-hero form. What's it worth? Find out what TTA 35 is worth. 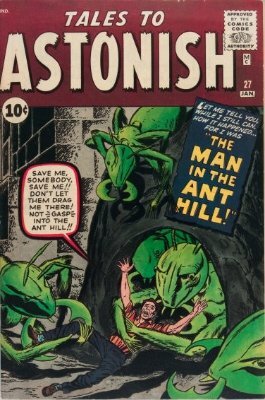 It's the first appearance of Ant-Man in costume. Find out what value the first appearance of Wasp has in TTA 44. Featuring the first appearance of HIM! aka Adam Warlock.